She’ll have to go low tomorrow. LEONA MAGUIRE’S OLYMPIC golf campaign got off to a difficult start today, the 21-year-old carding an opening round 74 to leave her well off the pace. The Cavan amateur birdied the first hole — making history in the process by recording the first birdie in ladies Olympic golf since 1900 — but that was as good as it got for Maguire, who finished on three-over-par and in a tie for 48th. Dropped shots on two and six saw her hit the turn over-par on what was a difficult day for scoring at Rio’s Olympic course. Things got worse on the 10th as Maguire found the water with her second shot on the par five and then had difficulty in the greenside bunker to come away with a double-bogey seven. A further dropped shot on 15 was instantly repaired by a welcome birdie three holes from home — but she has much work to do on Thursday to work her way back up the leaderboard. It has been a similarly disappointing afternoon for Stephanie Meadow, who sits at six-over-par. The lead is held by seven-time Major winner Inbee Park on five-under-par. Email “Despite a birdie on the opening hole, Leona Maguire didn't have the day she wanted in Rio ”. 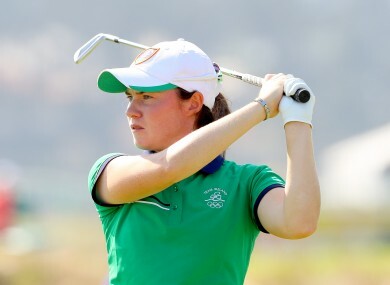 Feedback on “Despite a birdie on the opening hole, Leona Maguire didn't have the day she wanted in Rio ”.